Irell & Manella LLP’s litigators are experienced in arguing appeals before the U.S. Supreme Court, U.S. Court of Appeals for the Federal Circuit, U.S. Court of Appeals for the Ninth Circuit and California appellate courts. For the last 50 years, we have established important precedent in appeals ranging from professional liability, ballot initiatives and redistricting, and securities law, to defamation and right of publicity, copyright and taxation, constitutional law and intellectual property. Our team includes trial lawyers who defend verdicts on appeal, as well as appellate specialists brought in to challenge trial judgments in high-stakes civil litigation. Our background includes successfully defending one of the largest jury verdicts in California, and reversing one of the largest patent infringement judgments in U.S. history. We litigate complex and precedent-setting appeals against the State of California and its administrative agencies. Highly regarded for our work in the intellectual property sector, Irell lawyers have deep appellate expertise in patent law—before the Federal Circuit, the Patent Trial and Appeal Board (PTAB) and the U.S. Supreme Court. 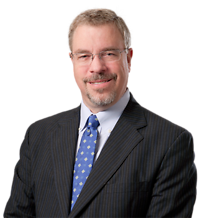 In addition, our colleague David Nimmer, the author of Nimmer on Copyright, has been cited in over 3,500 state and federal court decisions, including numerous U.S. Supreme Court opinions. From the inception of every case, we focus on the endgame—weighing appellate issues and strategy from the moment a complaint is filed in trial court. Convincing the Federal Circuit to side with NantKwest, Inc. in a 7-4 en banc decision which rejected the U.S. Patent and Trademark Office’s position that applicants who appeal to a district court must pay the agency’s legal bills, regardless of who wins. Assisting Gerawan Farming, Inc., the largest grower and shipper of peaches in the world, to prevail in a precedent-setting separation of powers case in California’s Fifth District Court of Appeal involving the constitutionality of legislation intended to strip trial courts of jurisdiction over agricultural labor disputes. Persuading the Delaware Supreme Court to affirm our complete defense verdict for Gilead Sciences, Inc. in contract litigation, helping Gilead avoid exposure to over $55 million in damages. Assisting T-Mobile US, Inc. in convincing the U.S. Court of Appeals for the Fourth Circuit to affirm dismissal of trademark claims against the company. The case, which involved the scope of arbitrability, created a circuit split of authority now before the U.S. Supreme Court. Securing an appellate victory in the Federal Circuit in favor of Ariosa Diagnostics, Inc., a San Jose-based molecular diagnostics company, regarding the eligibility of patent subject matter. We successfully defended the appeal in the U.S. Supreme Court against more than 20 amicus briefs urging reversal. Persuading the U.S. Court of Appeals for the Second Circuit to affirm the dismissal of a high profile biometric privacy class action against Take-Two Interactive Software, Inc., publisher of NBA 2K basketball video games. The outcome helped Take-Two ward off potentially hundreds of millions of dollars in damages. AIDS Healthcare Foundation, Inc. v. Gilead Sciences, Inc., 890 F.3d 986 (Fed. Cir. 2018). Secured a dismissal of a lawsuit challenging Gilead's new HIV and hepatitis B medication tenofovir alafenamide (TAF). AIDS Healthcare Foundation brought the lawsuit alleging that five patents owned or licensed by Gilead are invalid and that Gilead violated antitrust and unfair competition laws by first releasing TAF as part of multidrug products. Judge William Alsup of the U.S. District Court for the Northern District of California granted Gilead’s motion to dismiss. On appeal, the Federal Circuit affirmed the dismissal. Brixham Solutions, LTD v. Juniper Networks, Inc., 669 F. App’x 559, 669 F. App’x 560 (Fed. Cir. 2016). On October 6, 2016, the Federal Circuit issued rulings affirming two PTAB decisions obtained by Irell in July 2015. In those decisions, the PTAB had invalidated each of the asserted claims from two router patents that Brixham had accused Juniper of infringing. The PTAB found that all of the challenged claims were obvious in view of the prior art identified by Juniper. MAG Aerospace Industries v. B/E Aerospace Inc. 816 F.3d 1374 (Fed. Cir. 2016). The Federal Circuit affirmed a district court summary judgment ruling that B/E's patented lightweight Ecosystems aircraft vacuum toilet does not infringe any of the three patents asserted by MAG, which pertain to certain vacuum toilet assemblies and methods for repairing such toilets. Board of Trustees of the Leland Stanford Junior University v. Ariosa Diagnostics Inc. 636 F. App'x 801 (Fed. Cir. 2016). The Federal Circuit affirmed a PTAB decision that all asserted claims of U.S. Patent No. 8,296,076, a patent directed to a non-invasive prenatal test for chromosomal abnormalities, are invalid because they are anticipated, handing a victory to Ariosa Diagnostics Inc. Ariosa has been sued for infringement of this patent in district court by patent owner Stanford University and its exclusive licensee Verinata Health. The Federal Circuit’s decision gave Ariosa a complete victory on this patent. Ariosa Diagnostics, Inc. v. Sequenom, Inc. 788 F.3d 1371 (Fed. Cir. 2015). Secured an appellate victory in favor of Ariosa Diagnostics Inc., a San Jose-based molecular diagnostics company. In a major precedential opinion, the Federal Circuit affirmed the district court’s summary judgment ruling invalidating, for failure to recite patent-eligible subject matter, the patent that Sequenom Inc. had asserted against Ariosa in early 2012. The Federal Circuit’s ruling affirms Ariosa’s complete victory in the case. The Federal Circuit denied Sequenom's petition for a rehearing en banc. Thereafter, the U.S. Supreme Court denied Sequenom’s petition for certiorari. Realtime Data LLC v. Interactive Data Corp. et al. 600 F. App'x 771 (Fed. Cir. 2015). Represented Interactive Data, a developer and supplier of electronic trading applications, analytical tools for investment managers and customized web-based financial information systems, as a defendant in this patent infringement suit filed in 2009. In 2011, Irell succeeded in obtaining a writ of mandamus from the Federal Circuit ordering the transfer of the litigation to the U.S. District Court for the Southern District of New York. In 2012, Irell succeeded in obtaining summary judgment rulings disposing of the case on five independent bases. Realtime appealed those rulings to the Federal Circuit, which affirmed the trial court's rulings. Santarus Inc. v. Par Pharmaceutical Inc. 694 F.3d 1344 (Fed. Cir. 2012). Represented Santarus Inc. in this case involving Santarus’ drug Zegerid. The district court found all of the asserted claims in the patents covering Zegerid to be obvious over the prior art. On appeal, the Federal Circuit held that 11 asserted claims in two patents were not obvious and reversed the district court on those claims. Because Par’s generic was found to infringe the claims that were held to be valid, the decision cleared the way for a trial on damages. As a result of the victory, two days following the decision, Par announced that it had voluntarily ceased further distribution of the infringing product. In September 2014, Par agreed to pay $100 million to settle the dispute. Crea v. City of Hope 466 F. App'x 903 (Fed. Cir. 2012). Represented City of Hope in this action—originally filed in the Los Angeles County Superior Court and subsequently removed to the U.S. District Court for the Central District of California—in which Roberto Crea alleged that he should have received millions of dollars in royalties from City of Hope based on contributions he made to patents and other intellectual property while working as a post-doctoral research associate at City of Hope in 1977-78. Crea’s work was related to a research collaboration between City of Hope and Genentech that resulted in substantial royalty payments to City of Hope. After being removed to federal court, the case was dismissed by summary judgment on statute of limitations and contractual grounds. Crea appealed, arguing, among other things, that the federal courts lacked jurisdiction over his claims because they raised state law, rather than patent, issues. In March 2012, the Federal Circuit, concluding that federal jurisdiction existed, affirmed the judgment in favor of City of Hope in full. TiVo Inc. v. EchoStar Communications, et al. 646 F.3d 869 (Fed. Cir. 2011). Irell was co-counsel in an en banc proceeding involving the standard for injunction enforcement proceedings. In 2008, the Federal Circuit affirmed our trial victory for TiVo, including injunctive relief and an award of damages exceeding $90 million, in a patent infringement case regarding digital video recorders. The Federal Circuit also instructed the district court to consider awarding additional damages incurred during appeal. In June 2009, the district court once again found for TiVo and held EchoStar in contempt of the 2006 injunction and entered an order requiring EchoStar to pay additional damages and sanctions totaling approximately $200 million, bringing the total amount of money awarded to TiVo to more than $400 million. In March 2010, the Federal Circuit affirmed the district court’s contempt findings against EchoStar. The Federal Circuit then granted en banc review and, in April 2011, ruled that DISH Network and EchoStar must disable certain DVRs that were found to infringe TiVo's "time warp" patent. Shortly after, a settlement was reached. DISH Network and EchoStar paid TiVo over $600 million, including more than $100 million that had already been paid. Spansion, Inc. v. ITC. 629 F.3d 1331 (Fed. Cir. 2010). Irell was co-counsel for Tessera in an appeal from a patent enforcement investigation before the U.S. International Trade Commission (ITC) in which the commission found Tessera's patents valid and infringed by several major players in the semiconductor industry. Irell successfully defeated motions for an emergency stay of the ITC’s exclusion orders, a normal stay pending appeal and for reconsideration and en banc review of the same. The Federal Circuit affirmed the ITC's decision. Peer Communications Corp. v. Skype, Inc., et al. 333 F. App'x 570 (Fed. Cir. 2009). The Federal Circuit affirmed summary judgment in favor of Skype. Irell successfully defended Skype against a patent infringement lawsuit brought by Peer Communications Corp., a subsidiary of Acacia Research Corp.
Netcraft v. eBay 549 F.3d 1394. (Fed. Cir. 2008). The Federal Circuit affirmed a summary judgment of noninfringement in a patent lawsuit filed against eBay and PayPal relating to online payment systems. Also represented eBay and PayPal in the district court. Microprocessor Enhancement Corporation v. Texas Instruments, Inc. 520 F.3d 1367. (Fed. Cir. 2008). The Federal Circuit affirmed summary judgment in favor of Texas Instruments. MEC had sought over $94 million in damages and a permanent injunction against TI's line of C6000 processors. The Federal Circuit ruled that Texas Instrument's processors did not infringe any claim of the asserted patent. IpVenture v. ProStar Computer 503 F.3d 1324. (Fed. Cir. 2007). Represented the appellant IpVenture. The district court dismissed IpVenture's patent infringement suit without prejudice ruling that IpVenture was not the sole owner of the patent-in-suit and hence lacked standing. The Federal Circuit vacated the dismissal and reinstated the case. The court ruled that the former employer of one of the inventors had no assignment of the invention and that IpVenture owned the entire interest in the patent. Ultratech Stepper, Inc. v. ASM Lithography, Inc. 224 F. App'x 974 (Fed. Cir. 2007). Represented ASML in a patent suit relating to optical photolithography. Following a jury verdict invalidating the patent asserted against ASML on numerous bases, the Federal Circuit affirmed the judgment on all grounds. In re Echostar Communications 448 F.3d 1294. (Fed. Cir. 2006). Represented TiVo in connection with a writ of mandamus regarding discovery of information claimed to be work product or attorney-client privileged when the defendant asserts an advice-of-counsel defense to a charge of willful patent infringement. The Federal Circuit ruled in client’s favor. Warner Bros. Entertainment Inc. v. Superior Court of the State of California for the County of Los Angeles, No. B289109 (Cal. App. Nov. 15, 2018). Successfully defended Warner Bros. Entertainment Inc. in a major industry class action alleging that participants in Warner Bros. and MGM motion pictures received improper royalty payments on the exploitation of motion pictures in home video formats including DVDs, videocassettes and electronic downloads. Four of the five studios that faced similar suits – Universal, Paramount, Sony and Fox – settled, paying between $6.8 million and $26 million, but Warner Bros. opted not to settle. In writ proceedings, Irell convinced a three-justice panel of the Second District Court of Appeal to reverse a lower court ruling sending the case to trial. The action is now slated for dismissal. Gerawan Farming v. Agricultural Labor Relations Board, No. F073720 (Cal. App. May 30, 2018). Secured a Fifth District Court of Appeal win on behalf of Gerawan Farming against the California Agricultural Relations Board in a 138-page published decision that dealt with many issues of first impression regarding unfair labor practices and decertification elections under California law. The court ordered the ALRB to count the votes from the November 5, 2013, union decertification election held at Gerawan Farming. The ALRB had called the election in 2013 but impounded the ballots pending post-election proceedings, which have lasted many years. The court remanded the matter to the ALRB for further proceedings. Alcatel-Lucent USA, Inc. v. Juniper Networks, Inc., No. H040891 (Cal. App. Nov. 8, 2017). Irell was retained by Juniper after it lost a jury trial in a case brought by Alcatel Lucent alleging unfair competition and interference with contractual relations. Irell obtained a judgment notwithstanding the verdict in the trial court and that ruling was affirmed on appeal. Shareholder Representative Services LLC v. Gilead Sciences, Inc., 177 A.3d 610 (Del. 2017). Represented Gilead Sciences in a contract litigation related to whether Gilead owed a bonus payment under a merger agreement related to Gilead's cancer-fighting PI3K inhibitor Zydelig. Following a trial, the Delaware Court of Chancery issued a complete defense verdict, rejecting the plaintiff's claim for over $50 million in damages. On December 12, 2017, in a 3-2 published decision, the Delaware Supreme Court affirmed the trial court’s decision that the milestone was not triggered and Gilead had no liability. Gerawan Farming, Inc. v. Agricultural Labor Relations Board, 247 Cal. App. 4th 284 (2016). Secured a precedent-setting decision holding that the jurisdiction stripping provisions of the California Labor Code violate separation of powers under the California Constitution and establishing that farm workers may challenge Agricultural Labor Relations Board (ALRB) policies and orders in Superior Court. This case arises out of a First Amendment challenge to an ALRB policy excluding workers, the press and the public from attending on-the-record hearings of the ALRB’s so-called “Mandatory Mediation and Conciliation” procedures. Amkor Technology Inc. v. Tessera Inc. No. A139596 (Cal. Ct. App. Nov 25, 2014). A California appeals court rejected Amkor’s attempts to overturn a $128.3 million arbitration judgment in favor of Tessera Inc. over a patent licensing agreement, ruling the arbitrators were allowed to award Tessera royalties for Amkor’s use of the technology after the deal was terminated. Linear Technology Corp. v. Tokyo Electron Ltd. et al. 200 Cal. App. 4th 1527 (2011). After a decade-long legal battle, the California Court of Appeal upheld a 2010 defense verdict and award of attorneys’ fees in favor of semiconductor manufacturer Novellus Systems Inc., represented by Irell, in a breach of warranty suit relating to a patent infringement dispute. Irell then defeated Linear's petition to have the California Supreme Court take up the matter for further review. City of Hope National Medical Center v. Genentech, Inc. 43 Cal. 4th 375 (2008). The California Supreme Court unanimously upheld a $300 million jury verdict for breach of contract in favor of City of Hope National Medical Center, the largest damage award ever affirmed on appeal by California courts in any area of law. More than $565 million was paid by the defendant to City of Hope. The case concerned City of Hope's right to receive royalties from Genentech relating to a fundamental invention by City of Hope scientists in the 1970's at the dawn of the biotechnology industry. The Supreme Court's opinion explored the role that a jury may play in interpreting contract language and affirmed the trial court's decision to allow the jury to interpret the contract between City of Hope and Genentech. Jakks Pacific, Inc. v. Superior Court; THQ Inc., Real Party in Interest 160 Cal. App. 4th 596 (2008). The California Court of Appeal affirmed the trial court's ruling in our favor that arbitrators need not disclose potential conflicts until they are actually selected, as opposed to when they are first nominated by the parties or by the court. This was the first time that the court of appeal had interpreted the arbitrator disclosure rules under the California Code of Civil Procedure. Ortiz v. Lyon Management Group, Inc. 157 Cal. App. 4th 604 (2007). In a case of first impression, our summary judgment victory was affirmed by the California Court of Appeal, the court holding that California's Investigative Consumer Reporting Agencies Act was unconstitutionally vague as applied to tenant screening reports containing unlawful detainer information. Irell also handled the matter in the trial court. Hollywood Screentest of America v. NBC Universal 151 Cal. App. 4th 631 (2007). In the first published decision in more than 20 years concerning the "independent creation" defense to idea submission claims, our summary judgment victory was affirmed by the California Court of Appeal—the first time a California court has ever affirmed summary judgment in an idea theft case on independent creation grounds. Armenta v. Mueller Co. 142 Cal. App. 4th 636 (2006). Successfully represented the appellant and persuaded the California Court of Appeal to reinstate state qui tam claims, which the trial court had dismissed. The case involves claims by California cities against water pipe manufacturers. Sander/Moses Productions v. NBC Studios 142 Cal. App. 4th 1086 (2006). Successfully represented the appellee before the California Court of Appeal and obtained an affirmance of a defense verdict in one of the few television profit participation cases tried in the California courts. Also handled this matter in the trial court. HLC Properties, Ltd. v. MCA Records, Inc. 35 Cal. 4th 54 (2005). This landmark case involved the scope of the attorney-client privilege in California and whether the privilege survives the death of the client. Lenhoff Enterprises, Inc. v. United Talent Agency, Inc., No. 16-55739 (9th Cir. Mar. 30, 2018). The U.S. Court of Appeals for the Ninth Circuit affirmed the dismissal secured by Irell in the trial court of an antitrust and business tort lawsuit brought against its client United Talent Agency (UTA) and another large talent agency, International Creative Management Partners. A boutique talent agency filed the suit in the Central District of California alleging that the “packaging deals” employed by UTA and the largest talent agencies violate the provisions of the Sherman Antitrust Act and that UTA conspired with these other large agencies to exclude smaller agencies from co-packaging arrangements. The district court dismissed the plaintiff's third amended complaint with prejudice and denied Lenhoff's motion for reconsideration. The Ninth Circuit affirmed the dismissal. El Dabe v. Calavo Growers, Inc., 719 F. App’x 607 (9th Cir. 2018). In this consolidated securities class action, Irell represented Calavo Growers Inc., a global leader in the avocado industry and a leading provider of diversified fresh packaged foods, and certain of Calavo’s officers and directors in the defense of securities fraud allegations relating to Calavo’s January 2015 restatement of its audited financial statements. Irell twice won dismissal of the complaint. The Ninth Circuit affirmed the dismissal. Simply Wireless Inc. v. T-Mobile US, Inc., 877 F.3d 522 (4th Cir. 2017). Secured dismissal of Simply Wireless's trademark claims. The matter was appealed to the U.S. Court of Appeals for the Fourth Circuit, which affirmed the dismissal in a 2-1 published decision. Santana v. Take-Two Interactive Software Inc., 717 F. App’x 12 (2d Cir. 2017). Secured a dismissal of a biometric privacy class action for Take-Two Interactive, publisher of the NBA 2K basketball video games. Game players alleged violation of Illinois' Biometric Information Privacy Act from the use of their photographs to create customized avatars, which were shared with third parties when playing in multiplayer mode. They sought hundreds of millions of dollars in damages for the class. The case has been cited in biometric privacy cases against other media and technology companies. The U.S. Court of Appeals for the Second Circuit affirmed the district court’s decision. SmithKline Beecham Corp. d/b/a GlaxoSmithKline v. Abbott Laboratories 740 F.3d 471 (9th Cir. 2014). The Ninth Circuit ruled in favor of GlaxoSmithKline, represented by Irell, that the Constitution prohibits jury strikes based on sexual orientation, extending a protection once reserved for race and gender to sexual orientation and granted a new trial for GSK in a case against Abbott Labs, because a gay potential juror was improperly excluded based on his sexual orientation. In reaching that conclusion, the Ninth Circuit held that discrimination based on sexual orientation was subject to a heightened level of scrutiny under the equal protection clause. SRM Global Fund Ltd. Partnership v. Countrywide Financial Corp. 448 F. App'x 116 (2d Cir. 2011). The Second Circuit issued a unanimous opinion affirming in every respect the dismissal of claims brought by SRM Global, a hedge fund, against Irell client Angelo Mozilo, the former chairman and CEO of Countrywide Financial Corporation. SRM claimed losses of more than $400 million on investments in Countrywide stock and sued Mozilo, Countrywide and others in the U.S. District Court for the Southern District of New York, alleging violations under federal securities laws. Primate Freedom Project, Inc. v. The Regents of the University of California, et al. 331 Fed. Appx. 716 (11th Cir. 2009). The U.S. Court of Appeals for the Eleventh Circuit affirmed a dismissal in favor of The Regents of the University of California. Irell represented the University in an action in which the plaintiff sought declaratory and injunctive relief for claims brought under the First Amendment and the free speech provisions of the Georgia Constitution. NRDC v. Winter 543 F.3d 1152 (9th Cir. 2008). The U.S. Court of Appeals for the Ninth Circuit affirmed plaintiffs' entitlement to attorneys' fees under the Equal Access to Justice Act and declined to reduce the fee award on the basis of purportedly limited success. The Ninth Circuit found that plaintiffs had achieved "excellent results" under EAJA by obtaining a TRO and forcing a settlement that included measures designed to protect the environment that had not previously been implemented in certain naval training exercises. Tucker, et al. v. Interscope Records, et al. 515 F.3d 1019 (9th Cir. 2008). The U.S. Court of Appeals for the Ninth Circuit affirmed our summary judgment victory in a malicious prosecution action filed against a record company and a law firm. The Ninth Circuit agreed that there was no evidence from which a jury could find malice, a necessary element of the malicious prosecution claim. Huynh v. Chase Manhattan 465 F.3d 992 (9th Cir. 2006). Successfully represented the appellee in a case before the U.S. Court of Appeals for the Ninth Circuit that involved "heretofore unaddressed choice of law and statutes of limitations issues." The case involved claims against a bank relating to deposits that were lost during the Vietnam War.